“He is the third of three colts I’ve bought for the Colts Syndicate,” said Te Akau principal David Ellis, joining Lot 100 by Written Tycoon and Lot 192 by Savabeel. 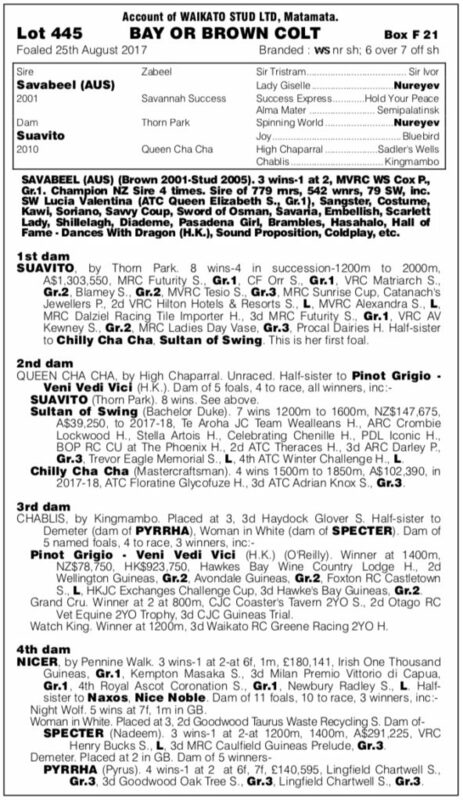 His dam, dual Group One winner Sauvito was renowned for her tough and determined qualities which saw her score at the highest level: both weight-for-age events over 1400m at Caulfield, in the Futurity Stakes (Gr. 1, 1400m) and the C F Orr Stakes (Gr. 1, 1400m). She won additional group races in the Blamey Stakes (Gr. 2, 1600m), Matriarch Stakes (Gr. 2, 2000m) and Tesio Stakes (Gr. 3, 1600m). “That mare (Sauvito) was really top-class and it’s nice to have one out of her in our stable,” Ellis said. Second dam Queen Cha Cha (High Chaparral) has left four individual winners of 20 races including the winners of seven group races. The colt in inbred to high-quality stallion Nureyev (Northern Dancer), through the dam side of Zabeel and sire line of Thorn Park. 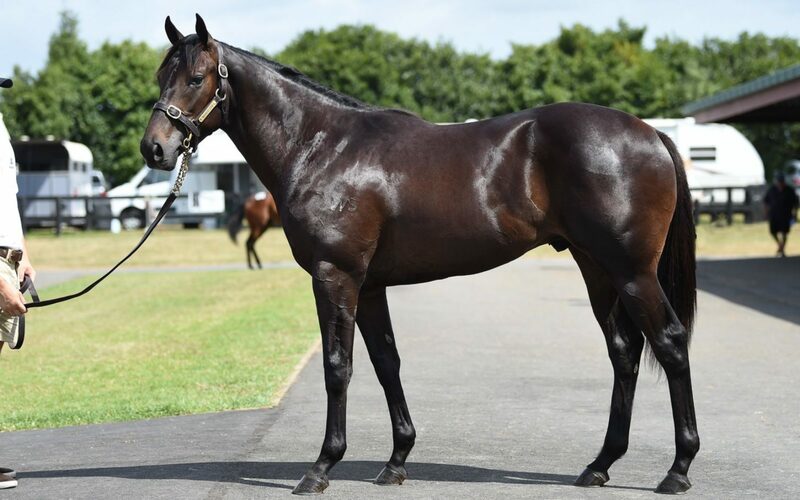 “He’s a precocious Savabeel, probably the first of the syndicate to race and an ideal horse for the million dollar race (Karaka Million) at Ellerslie,” Ellis said. “He’s the sort of horse we could look to take over to Australia for the Sires’ Produce and Champagne Stakes at Randwick. Ellis made comment on the enormous benefit of Group One success in Australia. “When we took Darci Brahma over to win a Group One as a two-year-old in Australia it was a huge result, because, firstly, it guaranteed him Champion Two-Year-Old status and, secondly, to win a Group One with a well bred colt enabled us to syndicate him at stud for $10 million.